Retired GM Engineer, Jim Wallace, started his automotive career in 1970 when he went to work for the Holley Carburetor Company and made the move to General Motors in 1975. He bought his first Corvette in 1964 and over the years, assembled an impressive collection of rare and mostly unrestored Corvettes. His very first Corvette rescue happened to be an original 1969 LeMans Blue L88 that had been sitting since 1979 and would later find another 1969 LeMans Blue L88 sitting in a barn since 1988. In the spring of 2016, Wallace and his wife happened to be out for dinner one night, and learned from another GM retiree of a Pennant Blue 1955 Corvette that had been sitting in the retiree’s garage for 38 years. Only 45 Pennant Blue 1955 Corvettes were built that year, and this particular one also came equipped with the 265 cubic inch V8 engine, of which only 693 were built. It had potential, and Wallace scooped it up. 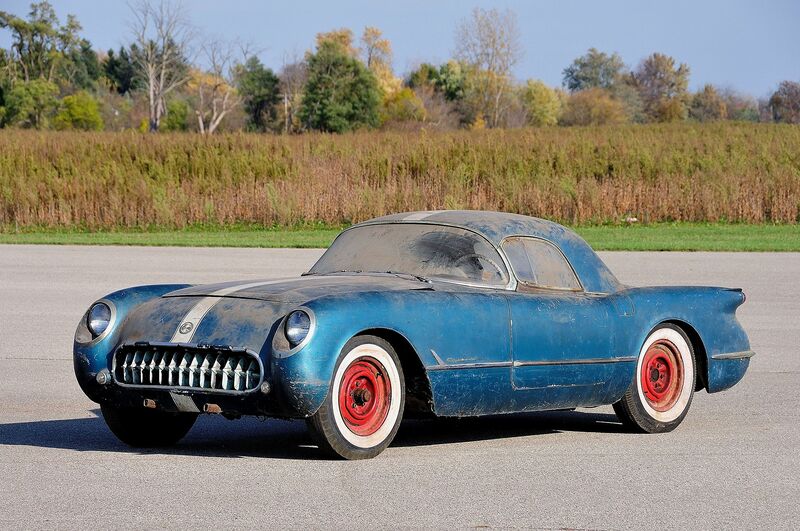 Since Wallace took ownership, he has sent the 1955 Corvette to D & A Corvette where it will undergo a complete body-off restoration. Wallace plans to restore the Corvette to its original factory condition when it left the St. Louis Assembly Plant.